In today’s modern World, there are a lot of makeup things available for dark hair. The options of shades are virtually countless. If you want to add some extra beauty, enhance the color of your eyes. Some of the hair colors are plain and simple; it will give even more attractive than your nature. Normally, all types of hair and skin colors are suitable for the person who is having glowing and gorgeous skin. The color of the skin can be enhanced by various techniques. While going to the makeup session you have to choose the color according to your skin tone. The makeup for dark hair is quite simple. Your goal is to improve the skin color, hide acne and blemishes. Eye color is the major thing while selecting eye makeup. The green eye shadows are contrast to brown eyes. The grey and brown colors are the perfect match for blue eyes. Have to use an eye shadow, gel or pencil to make a line in your eyes. 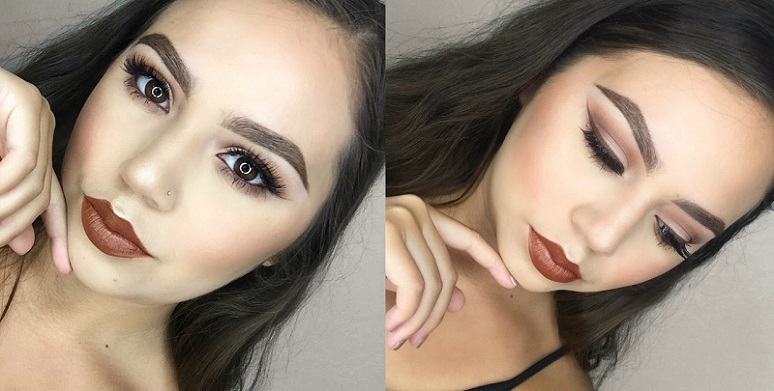 The makeup for dark hair and brown eyes are stands out from the crowd. If you want to increases, the volume and length of your eyelashes, you have to prefer black mascara. Several ways are available to enhance your hair color and eyes regarding your skin color. You have to use the mascara and liner on your eyes to make it darker. This type of things can give a special look and also make you to stands out from the crowd. After that, you have to use a cotton swab to remove the diffused liner. If you want to highlight your cheekbones, you have to choose the color that is close to your skin tone. If your cheeks are a reddish undertone, you have to prefer the neutral colors more than rosy ones. In case if you have a yellowish undertone, you have to select the rosy colors. For lips, you have to choose the lovely contrast colors for white skin. If you want to add extra goodness means, you have to line your lips with a color pencil according to your natural lip color. If the skin tone is dark, you have to use a black shadow to draw a line on the eyes from the inner corner to the outer corner. After having to add some extra look to your eyes, use the pink, lighter brown or other colors to fade it out. If the skin tone were fair, you would prefer the colors like grey or grey with a tinge of brown colors and shade the outer line with a black color. Some other lid color options are navy blue, brown, hunter green or plum. You should also select the perfect makeup ideas for brown hair. The faired skin beauties have to take care of their complexion. No type of makeup can completely protect your skin tone from the sun damage. You have to wear the sunscreen lotion for maintaining your skin tone. Follow these tips to look great in front of the others. 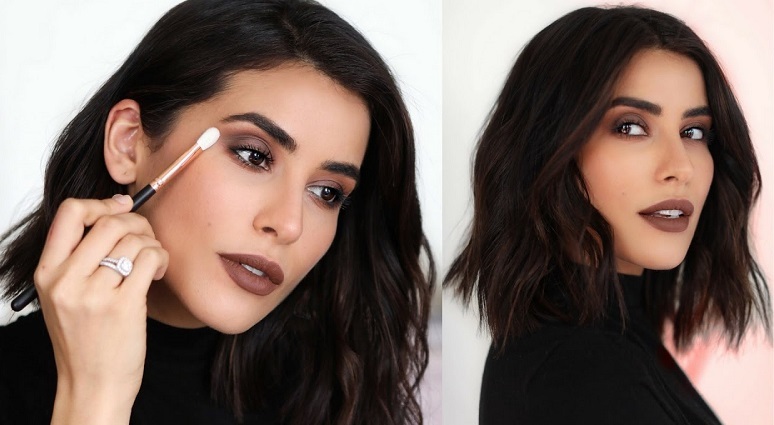 These are all important tips to put makeup for the dark hair.